Did you know that your pooch can get frostbite? Make your dog is ready for the extreme cold, with these great tips! Thanks to KARE 11 for having us on! Bubbly Paws is honored to be selected as one of America's Coolest Pet Businesses! Click Here to read the whole article! Three pet stores and eight honorable mentions have been chosen “America’s Coolest” by Pets+, “The Magazine for the America’s Pet Pros,” in its inaugural contest. The America’s Coolest Stores Contest highlights the best examples of independent pet businesses throughout the United States. They are judged by a panel of retail experts on the basis of busi- ness practices, history, online presence, traditional advertising, interior decor and curb appeal. Bubbly Paws opened their first store in St Louis Park, MN in 2011 and has 2 more locations in St. Paul and Maple Grove. The 4th store in Minneapolis is slated to open in October. Bubbly Paws offers the popular self-service dog wash, but also has full time groomers on hand to make your pooch look and feel their best. Our good friend Steve Patterson from Twin Cities Live stopped out to our Maple Grove store to see what was going on and dace it out with us! KARE 11 stopped out to our Maple Grove store to see what our political poop bags are all about! 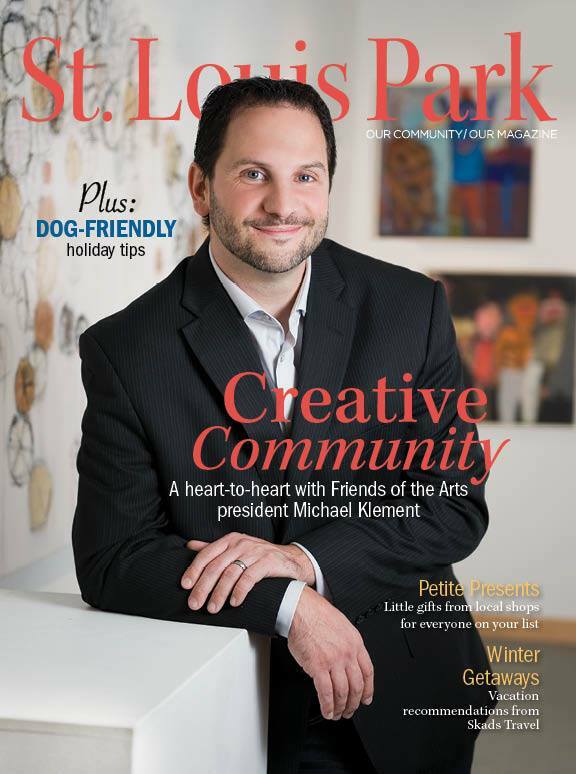 Here is a copy of an article we wrote for the St Louis Park magazine on how to keep your pets safe for the 4th of July. Keep your furry friends healthy and happy on the Fourth of July. The Fourth of July holiday is a lot of fun for humans, but dogs don’t always feel the same way. My dog Roxy is terrified of fireworks, and often won’t leave the house for several hours after she hears one. In addition to fireworks, other Independence Day activities can be scary—or even dangerous—for dogs. Here are a few tips for keeping your pooch healthy and happy this Fourth. Keep dogs inside. You never know when a firework might go off nearby. When dogs are scared, they need to be in a safe, familiar place. When they do go outside, keep them on a leash and keep the outing brief. Aim for longer walks in the morning, when things are quiet. If you go out to parties or fireworks, leave your pooch at home with the air conditioning running and some calm music on. No table scraps. It’s tempting for dogs to hang out near the barbecue grill, but many common picnic foods are dangerous to dogs—including grapes, avocado, onions and chocolate. To make sure Rover is included in the fun, try some made-for-dogs Bowser Beer or Yoghund ice cream, both available at local pet stores. Try a calming tablet. During fireworks and thunderstorms, try a natural calming aid like NaturVet’s Quiet Moments tablets, which can help reduce mild and moderate anxiety in dogs. Of course, chat with your vet about any supplements or medications. Keep collar and tags on. Make sure your pooch wears her collar at all times with your contact information attached. If she does get lost, check the Lost Dogs Minnesota Facebook page, a great resource with over 55,000 followers. —Keith Miller, co-owner of Bubbly Paws Dog Wash and Pampered Pooch Playground. -- Keith Miller, co-owner of Bubbly Paws Dog Wash and Pampered Pooch Playground. Todd Walker and the crew from FOX 9 came to Bubbly Paws to get the scoop on Paws on Grand! Our good freinds from Hero Dog were also featured. Todd Walker from FOX 9 came to Bubbly Paws to get the details on Paws on Grand.